Lamborghini's Squadra Corse racing outfit has developed the one-off 759bhp Lamborghini SC18, and it looks mad. Squadra Corse, Lamborghini’s racing division, has taken a new Aventador SVJ and transformed it into a track-focussed beast. It's a one-off too, which Lambo reckons will be the first of many bespoke racing models. The Lamborghini SC18 uses the same carbon-fibre chassis and a 6.5-litre naturally aspirated V12, developing 759bhp and 720Nm of torque, from the Aventador, with power reaching all four wheels via a seven-speed gearbox. Performance wise, expect similar figures to those of the Aventador SVJs 2.8 seconds from 0-100km/h and around 340km/h top speed. 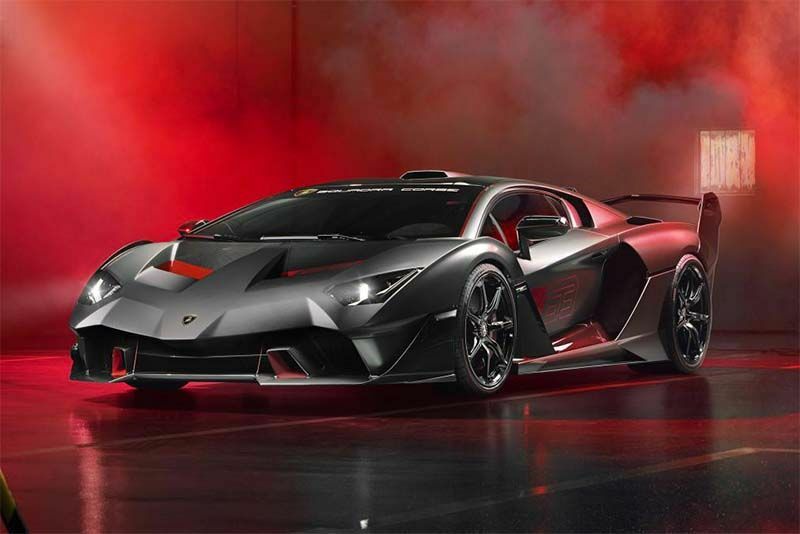 While mechanically similar to the Aventador, the SC18s carbon-fibre bodywork is significantly different. There's a fair chunk of new aerodynamic bits pushing it into the ground at speed, including a new front splitter, side air intakes large enough to swallow children, and a Centenario-inspired rear end to finish it off. Like any racecar worth its weight in rubber, the SC18 sports centre-lock wheels – 20-inches up front, 21-inches at the back – with specially developed Pirelli P Zero Corsa tyres wrapped tightly around. There's no price for the one-off Lamborghini SC18 hypercar but expect it to carry many zeros behind that euro sign. The chaps at Squadra Corse say that the vehicle is road legal but its primary purpose is to do scorching lap times at the track. Hopefully, whoever gets this car does exactly that.